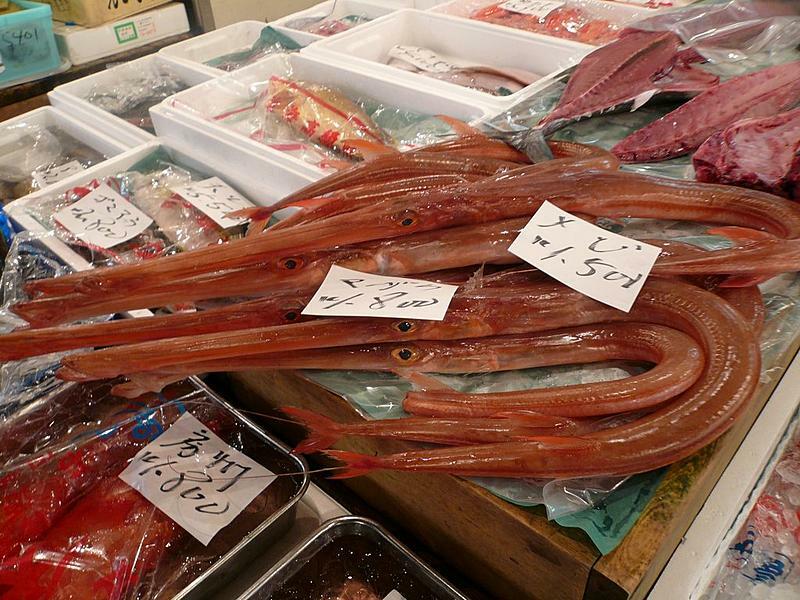 Yesterday morning I awoke bright and early (well, as I said before, not as early as hoped, but still early) and I headed to Tsukiji fish market. 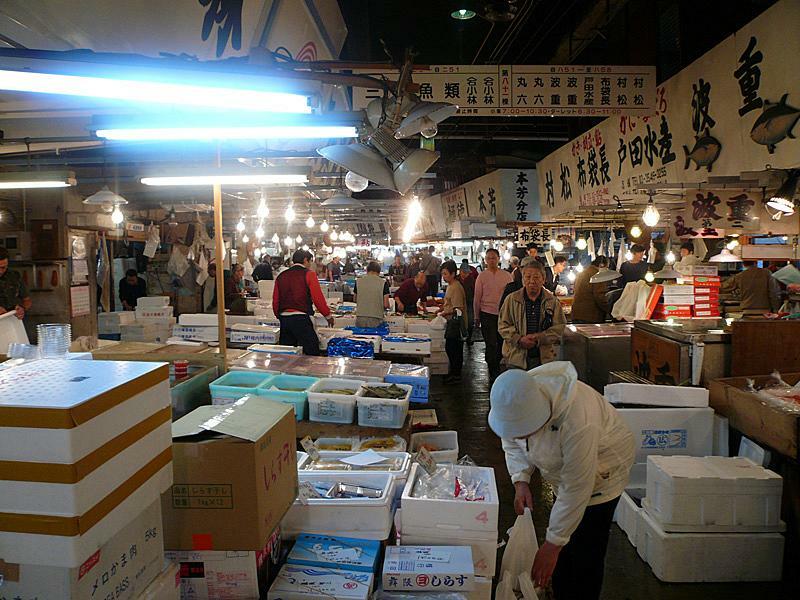 This is the largest fish market in the world where hundreds of tons of fish come in every morning. They have giant auctions for the best fish. Those happen around 5am, so of course I missed out on that. All the guidebooks say it’s best before 8am, and they’re right. I showed up at 7:45 and it was pandemonium. Hundreds of little trucks carrying pallets of fish narrowly averting each other and me. Fish being butchered right in front of me. Relevant aside: the night before I was out for sushi, and there’s a tank back behind the counter. Usually you just assume they’re just for show. But at one point one of the chefs picked up a net and scooped out one of the fish. And he sliced it up right there. Oh, it tried to escape. That first cut, the little guy jumped about 4 feet across the table. And the people next to us at the counter had the pleasure of enjoying the freshness. 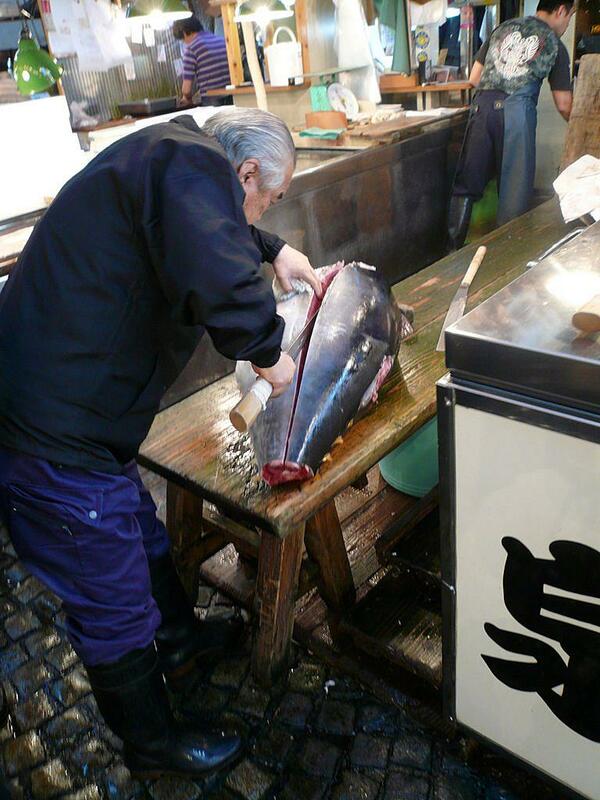 Back to Tsukiji, everyone walking around and picking out the best fish for themselves. I’m sure I ended up eating something later that day I saw that morning. Then at 8:00, everything immediately slowed down. It didn’t completely stop, but it wasn’t the insanity it had been 5 minutes earlier. After a little more walking around, I headed home to wash the fish stench from my body before heading down to Fuji.